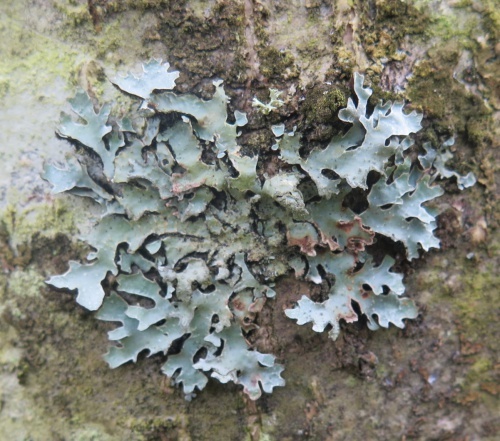 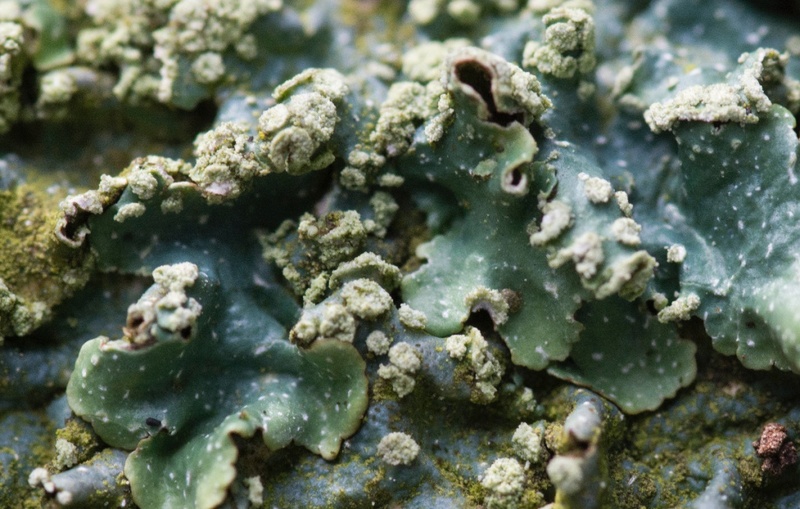 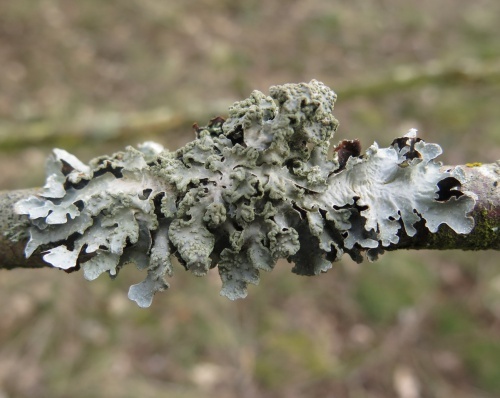 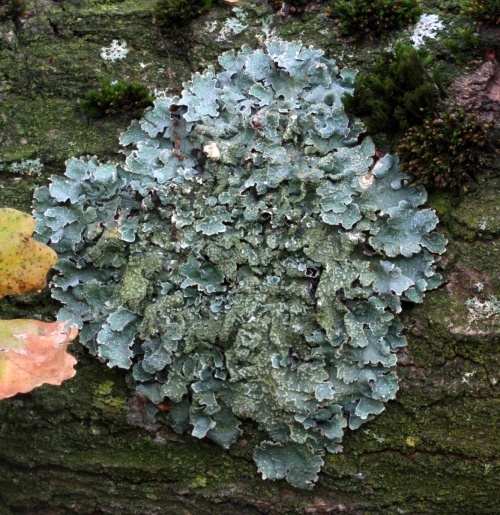 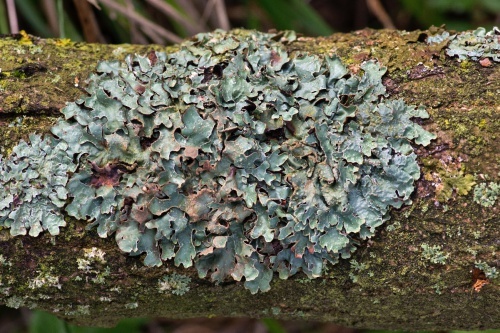 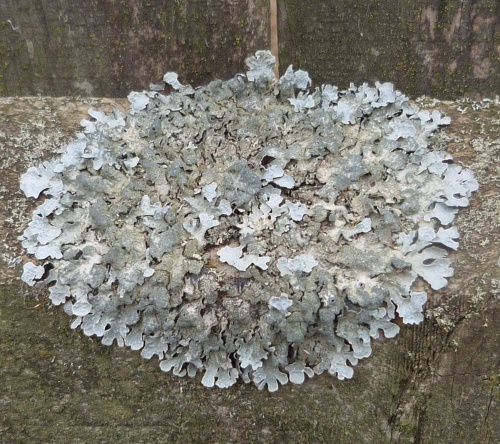 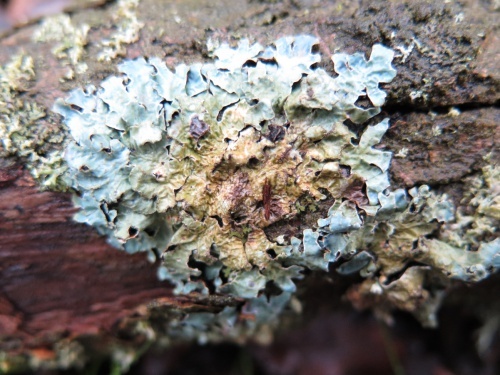 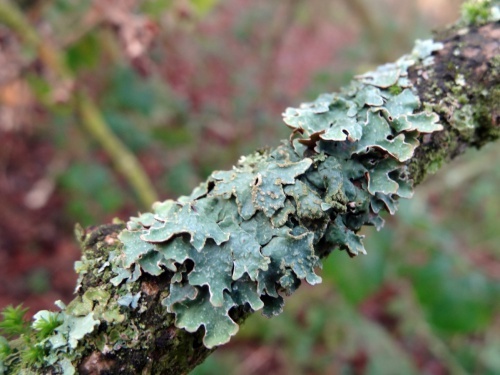 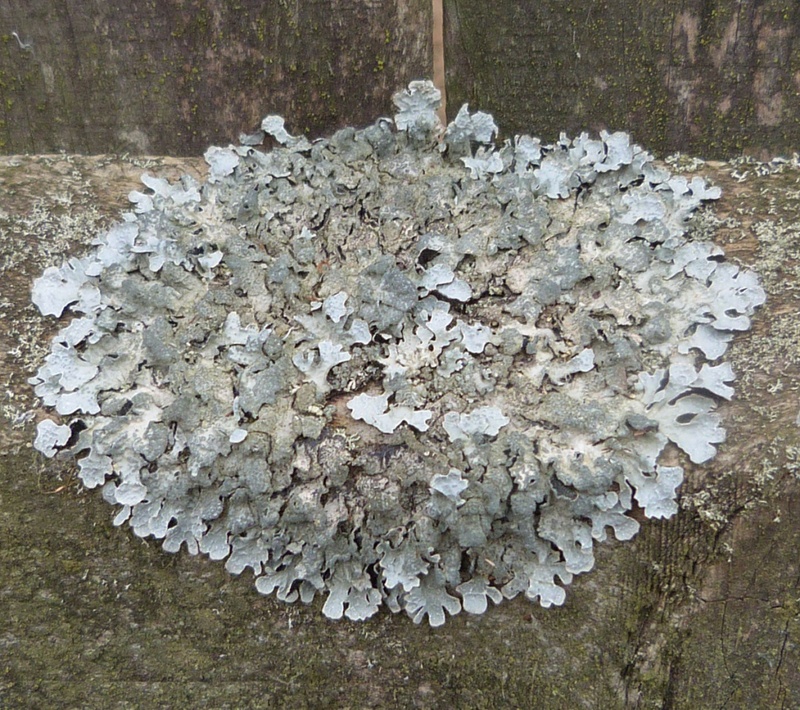 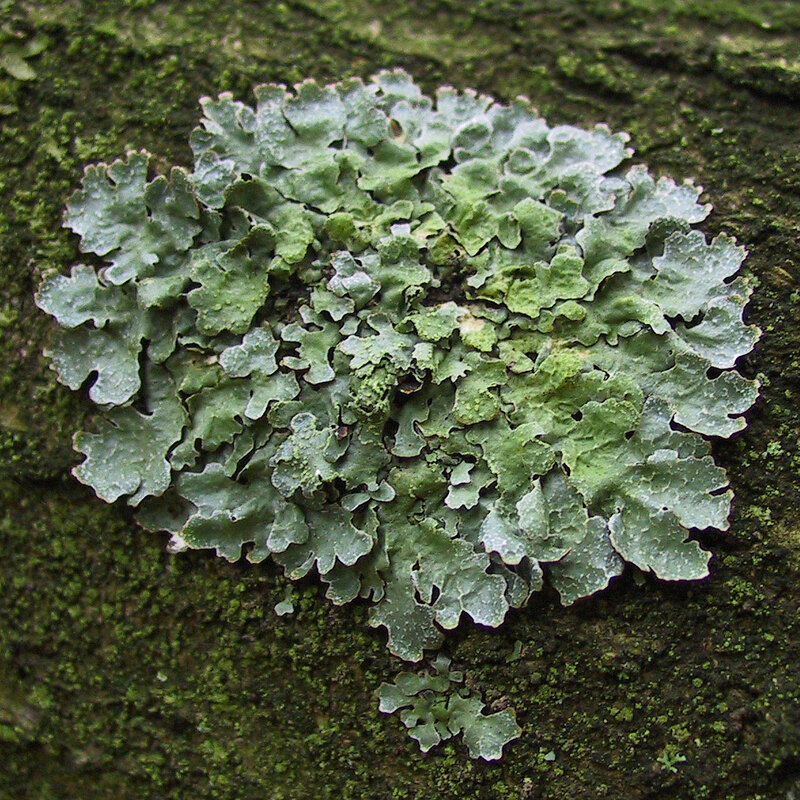 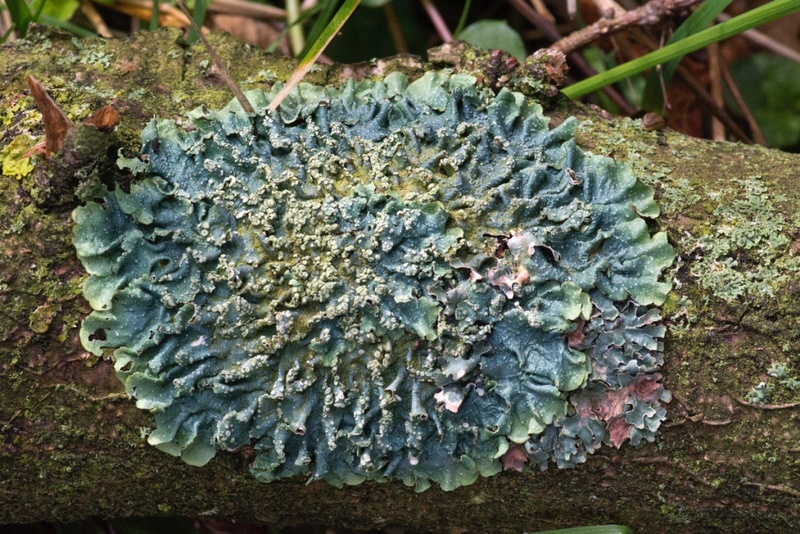 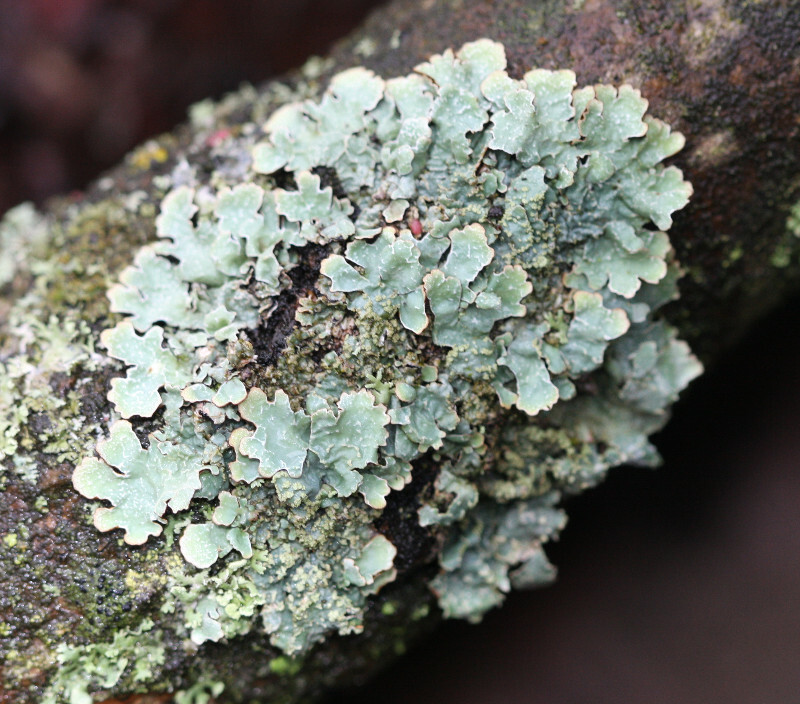 This is a silvery grey-green lichen with dish like lobes. 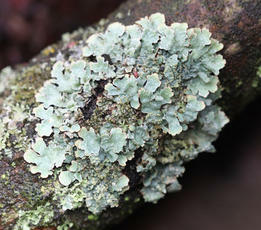 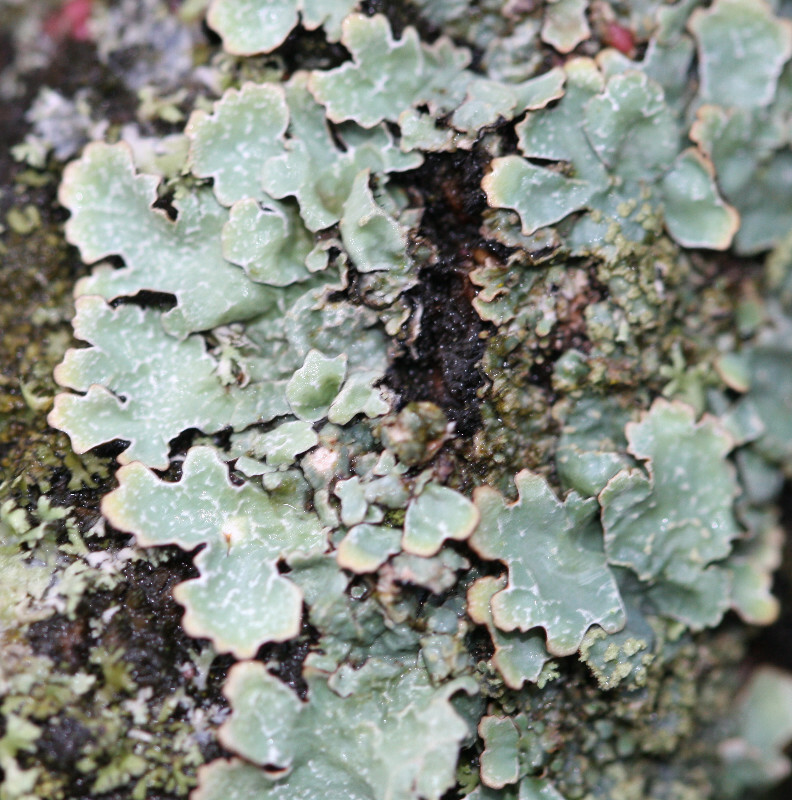 The lobes have a network of sharp ridges and depressions giving the lichen a hammered appearance. 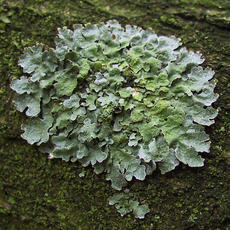 Usually on trees occasionally on rock. 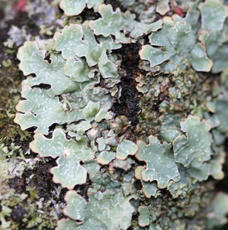 It is very tolerant of pollution.